How Do You Recognize Truly Good Lexus Service in London, ON? Let’s face it – things go wrong even when driving a vehicle as luxurious as a Lexus. Accidents happen, and even if they don’t there isn’t a vehicle on the road that doesn’t need maintenance now and again. This is especially true for a luxury vehicle like a Lexus, as regular maintenance is part of keeping it in peak condition. So how do you recognize a Lexus service centre in London, ON, that will provide 100% satisfaction? Here are three things every great shop will offer. It might seem obvious, but you’d be surprised how often drivers entrust their vehicle to a shop without checking the reviews first. Be sure to check online to see what past customers have to say about their experience. A convenient Lexus service centre will not only be located near London, ON, but offers online service scheduling tools and is dedicated to getting your car in and out of the shop as quickly as possible. A Lexus is an intricate piece of machinery, and not just any old service or parts will do. If your Lexus is going to keep running at its best, you need Lexus Authorized Service, which means you’ll get only Lexus OEM parts and work performed by factory trained technicians. Essentially, better service translates into a better ownership experience. It means you Lexus will look and run better, longer. 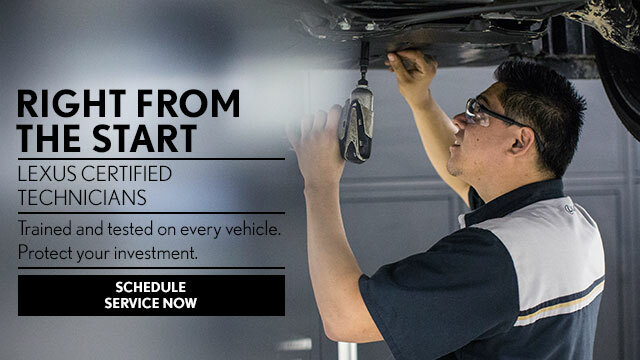 So be sure to find Lexus Authorized Service that you can trust. It could be the difference between driving in style, and ending up on the side of the road. Schedule Lexus Authorized Service using our online tool, or call Lexus of London at (888) 691-8453 today. Let’s face it – as a car owner, at some point you’ll need service. Whether that means getting routine maintenance, replacing a single part, or receiving extensive repairs, every vehicle ends up needing a bit (or a lot) of care. For Authorized Lexus Service you can count on, visit Lexus of London. Read on to learn why. At Lexus of London, our state of the art service centre houses all of the latest tools and equipment. We also staff it with highly experienced, factory trained technicians who are skilled at using the most current repair methods. This means that we’re not only going to make sure that your vehicle is serviced correctly the first time, but that it’s done quickly so that you can get back on the road. Not only do we provide state of the art Authorized Lexus Service, but we make it easy to schedule an appointment using our online tool. So if you need service, make Lexus of London your only stop. 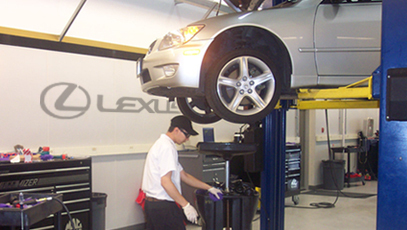 Schedule Authorized Lexus Service using our online tool, or call Lexus of London at (888) 691-8453 today.